The Monthly Meals Giving Program helps the Los Angeles Regional Food Bank alleviate hunger in Los Angeles County. 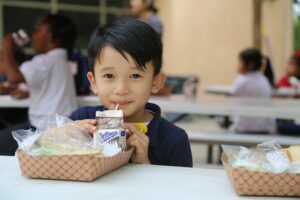 Through a monthly gift automatically deducted from your credit card or checking account, more hungry children, families and seniors will receive meals. 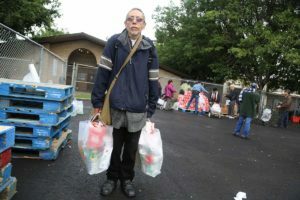 How does the Monthly Meals Giving Program Benefit our Hungry Neighbors? It’s Reliable. The program provides a consistent source of funding, allowing the Food Bank to quickly respond to urgent issues the moment they arise. It’s Cost Effective. Automatic donations are processed more efficiently, providing even more resources to source and purchase food. It’s Helpful. Because of the reliability and cost-effectiveness of the program, thousands of additional meals can be provided to hungry people. How Can Monthly Giving Benefit You? It’s easy. You choose the dollar amount and date your gift should be transferred from your account or credit card. It’s flexible. You can increase, decrease, pause or stop your donation at any time. It’s convenient. You will receive quarterly statements of your gifts and one, consolidated tax receipt for your donations from the previous year in February. It’s rewarding. In addition to providing meals to your hungry neighbors, you will receive Shelf Life, our newsletter with invitations to Food Bank events. Select an amount you would like to donate and for every $1 you contribute, we can distribute 4 meals. Set-up your recurring gift online using our secure website to put your gift to work immediately. Then, you will also be able to change your donation schedule, credit card information and preferences online. Or, download the monthly giving form, fill it out, and send the information to the Food Bank. Thank you very much for your monthly commitment. Your continued support means so much to us at the Los Angeles Regional Food Bank and the hungry members of the community we serve. For your convenience, you may download the Change of Information for if you would like to update or change any information concerning your monthly giving. Please send the completed form by mail or fax.